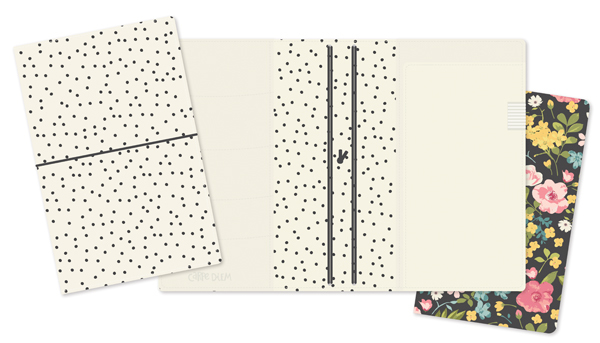 This Beautiful Traveler's Notebook is Cream Colored with Black Dots and is approximately 5½" x 9". There is one Blank Designer Insert with 16 Pages, Four (4) Elastic Bands to help you customize your Notebook. You'll also find a number of Pockets to help you organize your goodies. Product by Simple Stories. Look for coordinating Inserts which are Sold Separately.